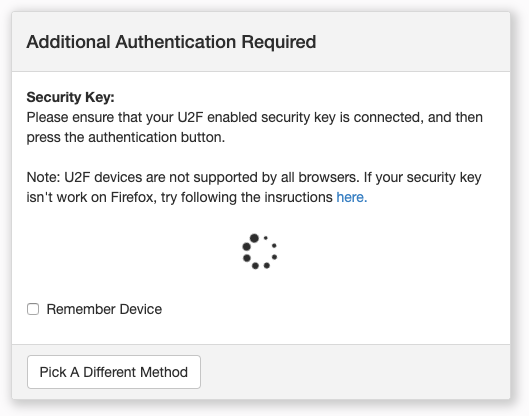 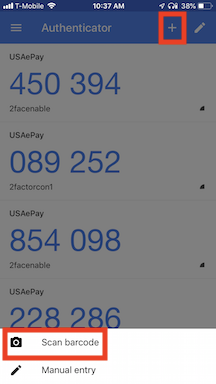 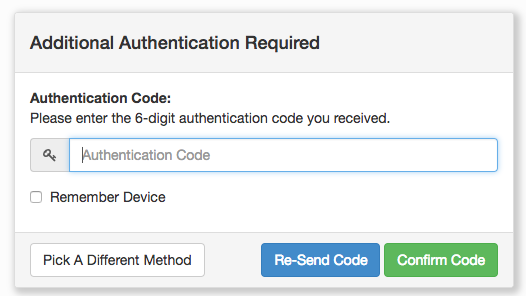 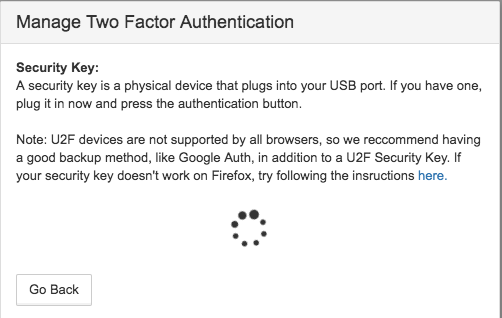 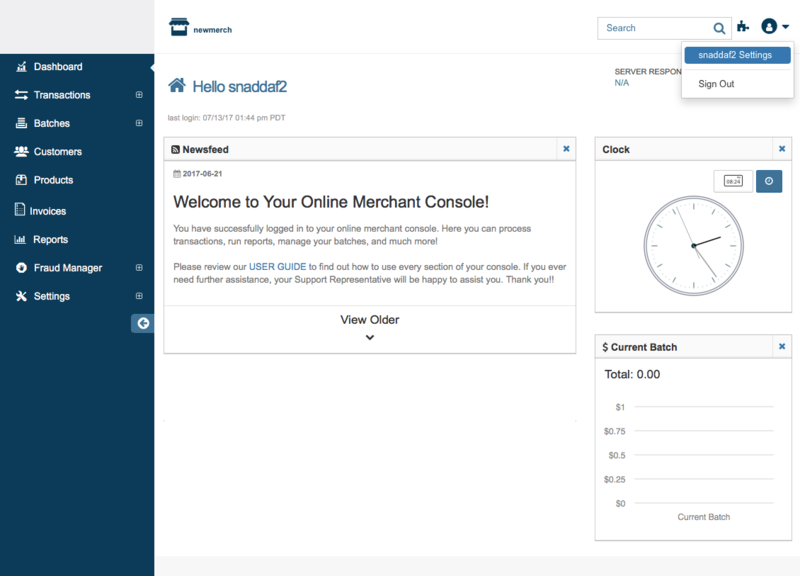 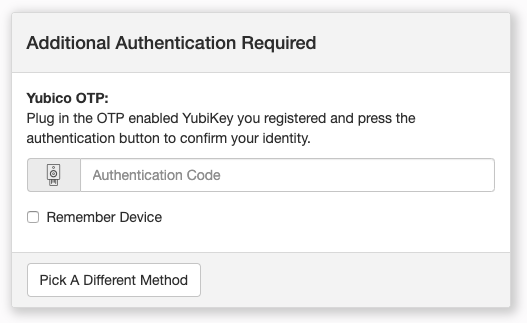 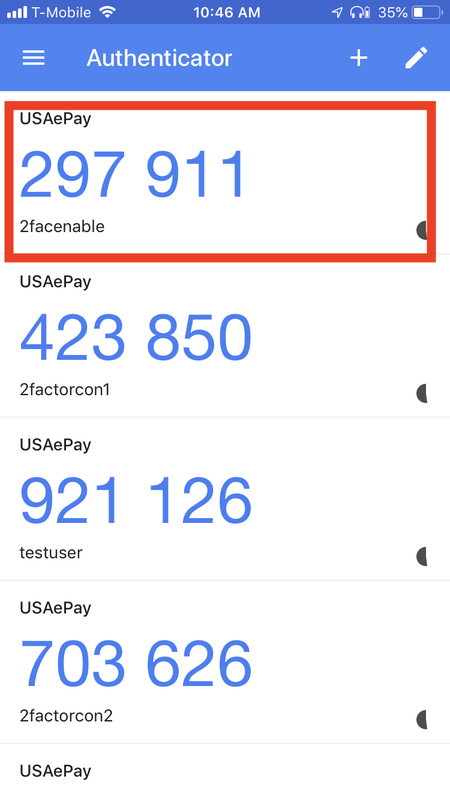 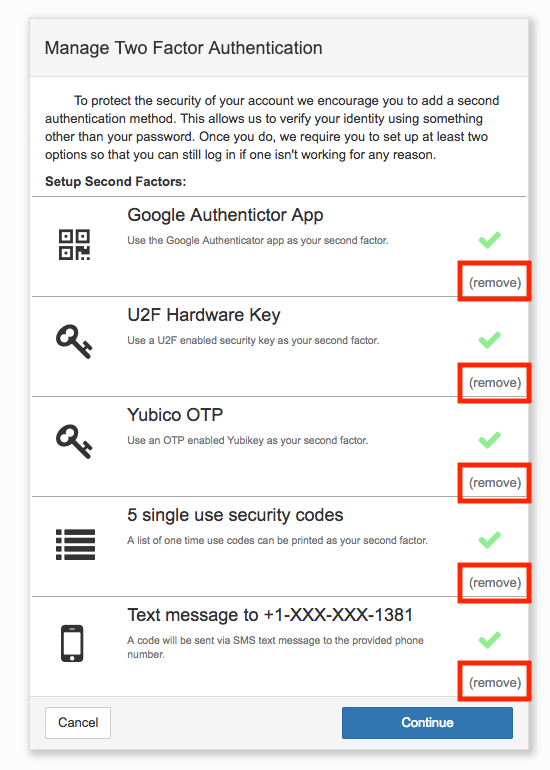 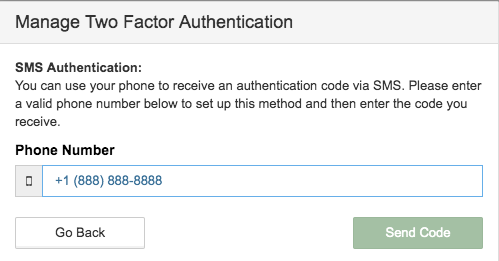 To enable two factor authentication, go to the user settings in the upper right hand side. 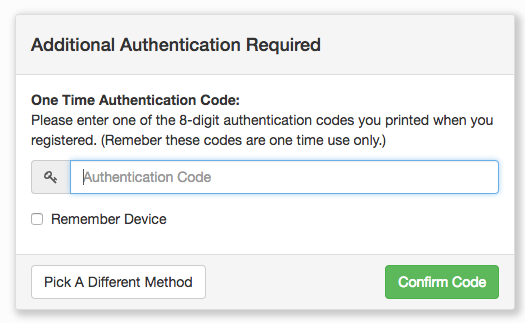 Click Print Codes to bring up a print dialogue window. 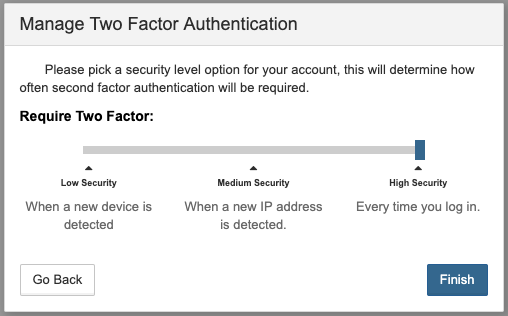 Once you have set up your two step authentication, you may need to alter your settings after the fact. 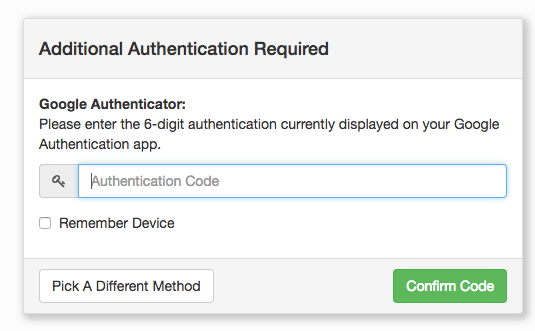 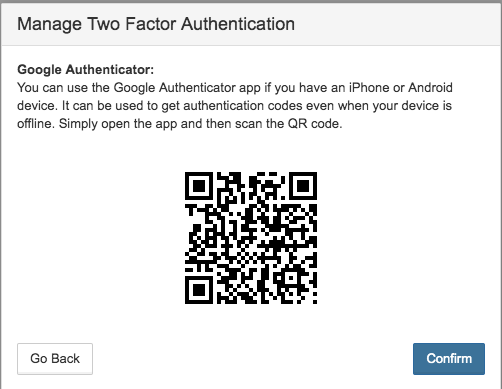 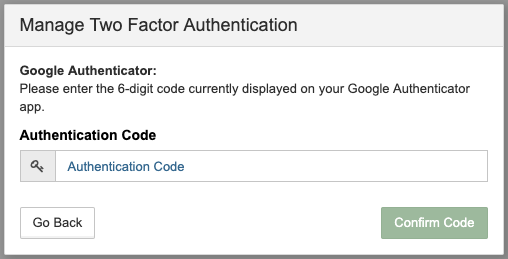 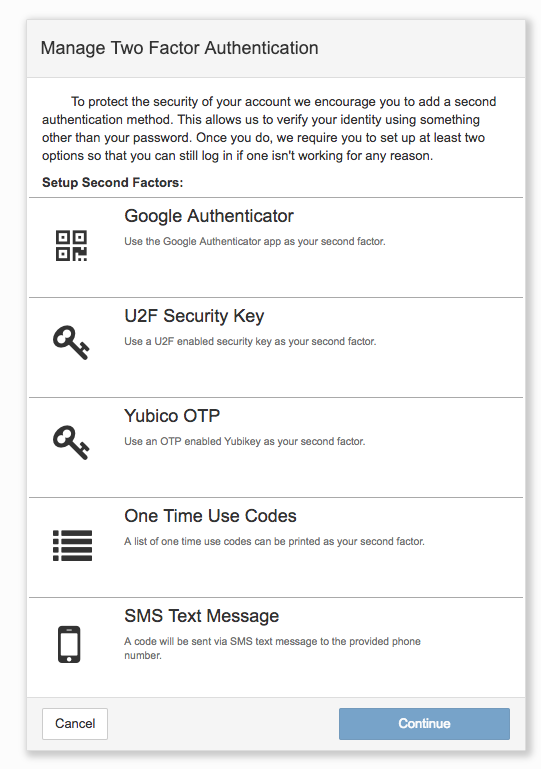 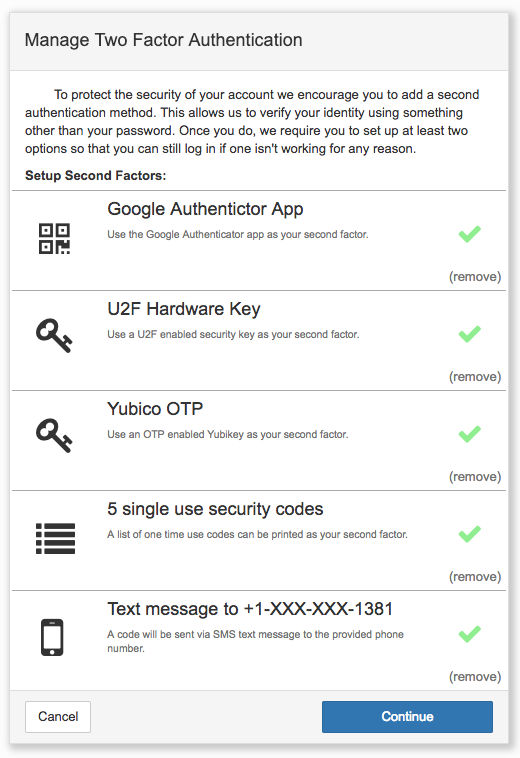 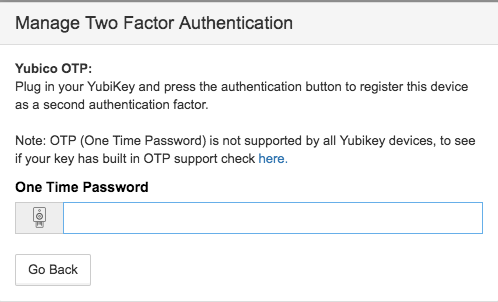 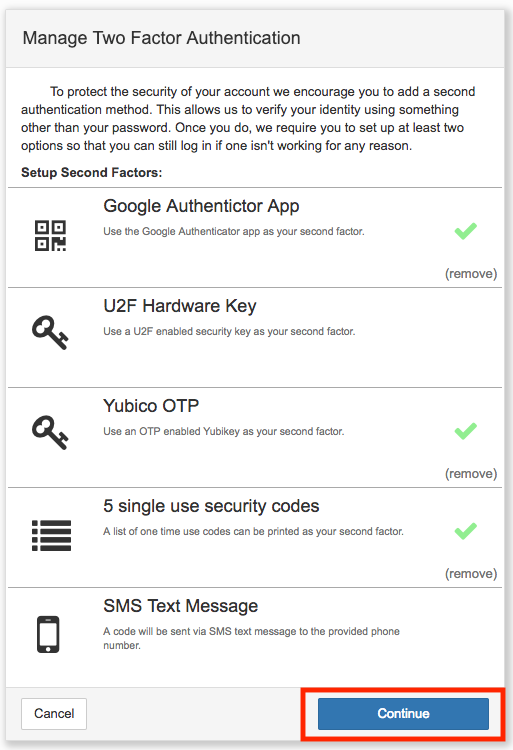 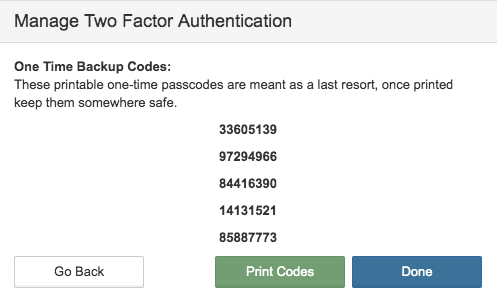 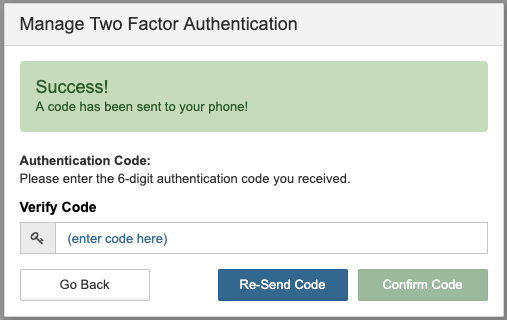 To Manage your two factor authentication settings, go to the user settings in the upper right hand side.